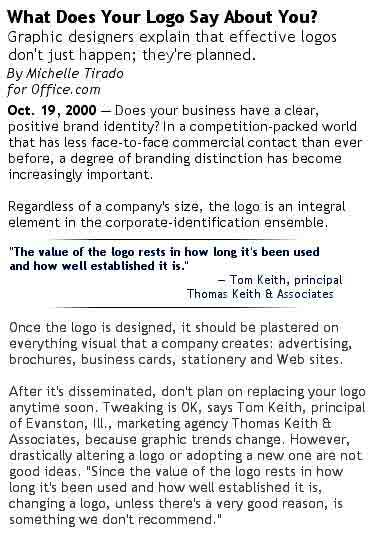 Thomas Keith & Associates is occasionally featured in the press for our expertise in advertising and marketing strategy. Please note: a) Era was the first entry in the liquid laundry detergent category from Procter & Gamble - other companies (e.g. Lever Brothers) had earlier entries; b) Equal is not a zero-calorie sweetener - but its calorie content, compared to sugar, is extremely low; and c) other philosophical mis-interpreations from this interview can be discussed with anyone interested.